Notably, London is known for its expensive hotels, restaurants and activities, but there is so much more to city than meets the eye and so much more that can be done for free. The capital has a plethora of museums that cost nothing to visit and not forgetting the vast array of markets that will keep you entertained for hours. Below is just a short list of what you can do for free in one of the best cities in the world. As mentioned previously, London is a glow with education and learning that comes in the form of its world famous museums; not to mention it’s all for free. 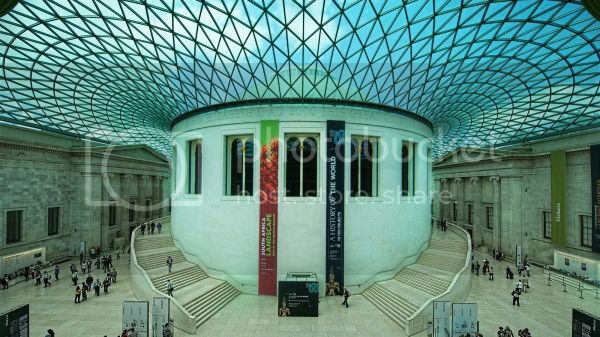 The British Museum hosts a range of artefacts and exhibits, from the Rosetta Stone to more modern and up-to-date displays that will please anyone’s taste. Another museum that boasts a tonne of history, and this time it’s local, is the Museum of London. Once again, there’s no admission charge and you’re free to take a leisurely wander around and pick up loads of interesting facts. If it’s sea history you’re after, then why not take a free visit to the National Maritime Museum? Situated in the thriving area of Greenwich, the museum is home to all things sea and boats and is a great place for kids to learn and interact with a subject they might not know that much about. But if sea life and marine artefacts aren’t your thing, then the Natural History Museum should cover everything else for you. From dinosaurs to pickled wildlife, this museum is a must-see when visiting London. Art is in wide reach throughout London and there’s so much you can see for free. Not only do you have the Tate Modern and Tate Britain, which both offer magnificent works from the 16th Century to today, but there are so many more galleries to visit. The National Gallery is home to Western European classics, such as Van Gogh, da Vinci and many more, and you can see all these famous artworks for as little as, well, nothing! If it’s faces you’re after, and specifically famous faces, then take a trip to the National Portrait Gallery; you’ll even get to see Andy Worhol’s portrait of the Queen. To really soak up the culture of London and get to grips with what with city is all about, then a visit to the Houses of Parliament is an absolute must. You can even book a place to watch the Members of Parliament in action, but this is entirely your choice. We’ve all heard of St. Paul’s Cathedral, but this has an admission price, so if you’re looking for a religious building that doesn’t charge entry, then try St. Paul’s Church. Situated in Covent Garden, the church was the first outing for Punch and Judy. You’ll find that you may learn many interesting facts that will trump over those paying to go to the cathedral.